Is your website ready to handle Cyber Monday? According to Adobe, online shoppers spent $3.07 billion during Cyber Monday last year. If you sell products online, that’s a tremendous business opportunity. You owe it to yourself to make sure you don’t miss out. Of course, you won’t be able to make the most of this online shopping frenzy unless your site is performing optimally. Here are seven steps you can take to get your site battle-ready in no time. Your first order of business is to make sure your site won’t crash under the pressure of all that additional traffic. 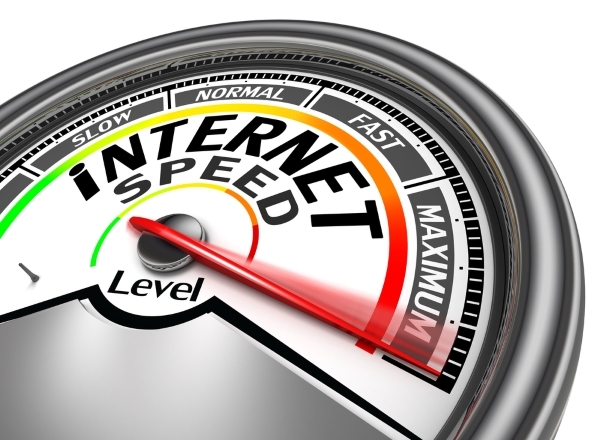 Speed matters; and it can have a huge effect on your bottom line. If your site takes more than a few seconds to load, you may lose that potential customer before they even see your site. Ask your hosting provider if they use GZIP compression. This can reduce file size by up to 70% without sacrificing quality. GoDaddy offer this type of compression by default with their Linux hosting. Use the “save for the web” option in Photoshop to greatly reduce the size of your images. Check whether your Content Management System (CMS) has caching plugins (WordPress does). By caching (storing) the latest version of your website, you’ll decrease load time dramatically. If you want to keep things super simple, eHost even offers you the chance to add these plugins directly to your hosting cPanel, rather than go through your CMS. Despite online shopping’s increasing popularity – and Cyber Monday’s stratospheric growth – customers are still very much concerned about giving out their financial details online. Customers need to be reassured that you can be trusted, or they simply won’t do business with you. Boost your reputation and show your customers you’re serious about security by installing a high quality SSL security certificate. If at all possible, invest in an EV SSL Certificate – the gold standard in online payment security. If you are using Bluehost, you get an SSL certificate automatically in their Business Pro package. These days, desktop-only websites just won’t cut it. 44% of online traffic came from smartphones last Cyber Monday; and it’s safe to say that that number will only grow this year. Customers don’t just do research on their tablet or smartphone. More and more, it’s also where they like to seal the deal. Make this easy and effortless by ensuring your site works as smoothly on mobile as it does on desktop. Live support greatly enhances your customers’ user experience, because they can speak to a real person without having to leave your website. They also won’t have to wait for someone to pick up the phone (and listen to annoying “Your call is important to us” messages on repeat). That said, you’ll need to make sure you have enough staff on hand to deal with the increased traffic effectively. 71% of live chat customers expect issues to be resolved within 5 minutes, so do keep this in mind. Convenience is crucial when it comes to sealing the deal. If your checkout process is unnecessarily lengthy or complicated, you risk frustrating your customers and driving them away. Customers love one-click checkout processes, because they require minimal time and effort. You should also consider adding alternatives to inputting a credit card number (think PayPal, Apple Pay and Android Pay). These make payment more convenient and give an added layer of security to the transaction. iPage offers PayPal integration across all of their packages, regardless of the other features you may, or may not need. Think your website is all set? Now it’s time to make absolutely sure with a dry run. Make a few test orders to confirm that everything is working smoothly. Try different payment options and be sure that your discount coupons actually work. Even better, get a friend or family member to test it out too. That way, you’ll get an unbiased opinion on the user-friendliness of your site. With these 7 steps, you can be assured that your site is ready for Cyber Monday. Get ready to make the most of your extra sales, with total peace of mind.